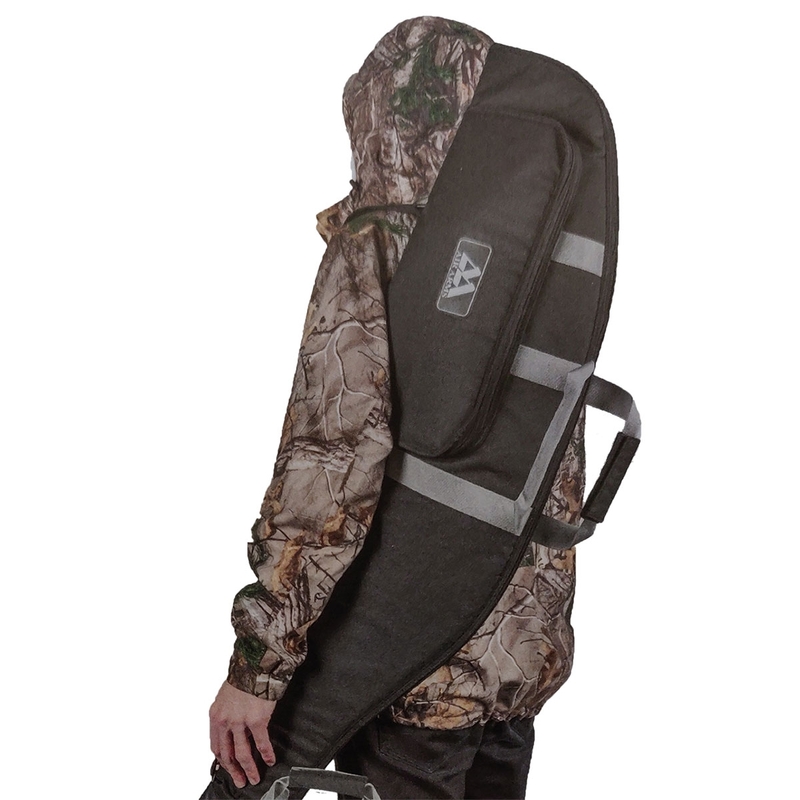 Air Arms Deluxe Gun Bag. Available in both full length and bullpup, the deluxe, high-quality slips are both durable and stylish. Adjustable hand carry handles and over the shoulder straps provide comfort and freedom of movement. A front storage compartment provides storage for additional pellets and accessories. Bought this gun bag for my air arms hft500. Its a snug fit with a big scope and hamster fitted but fits in none the same. Quality built and plenty of storage. Approx 48 inches long. A bit pricey compared to the BSA gun bags though. Really well made bit of kit like most Air Arms products it may not be the cheapest but it is a real joy to slide the rifle into the well padded bag looks as if it should last along time have had several comments on the excellent quality when I have been out and about in the field.